Pink has been back on the fashion radar for a few seasons now and we’re delighted to see that it is continuing to be a trend into 2017. 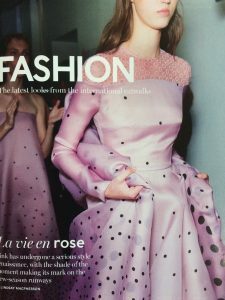 British Vogue says that fuschia is the pink of the season, quoting pieces from collections at Bottega Veneta and Balenciaga as evidence of the trend. They point out that even the usually classic and neutral Hermes sent a hot pink evening gown down the catwalk for this season. Glamour Magazine also picked up on the pink trend, citing pieces from Celine and Valentino, and while they didn’t go as far as Vogue by quoting fuschia as the shade of the season, they did specify that it was a bright pink rather than pale. Here at Dunmore Scotland, we love a bit of pink and we have pieces in every shade from pale baby pink to bright fuschia. If baby pink is your thing, we have two soft leather bags to choose from – the Emeli is a large suede-lined shoulder tote that can carry everything you need for you day out and about (was £285, sale price £185). Alternatively, our signature Toggle bag, also suede lined, is an elegant handbag that would be perfect for a spring wedding (was £295, now £245). 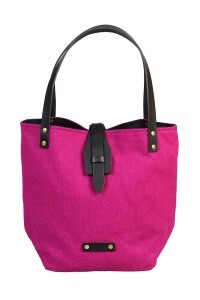 If you’re looking for a brighter fuschia bag, we have a few styles in hot pink leather. 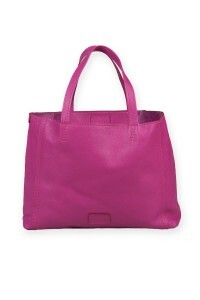 First up is a soft slouchy unlined tote in fuschia leather. 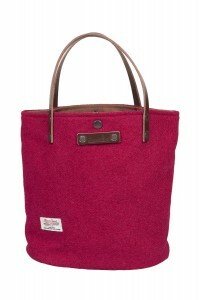 This large tote is an unstructured bag that can be used for work or play (was £159, now £139). 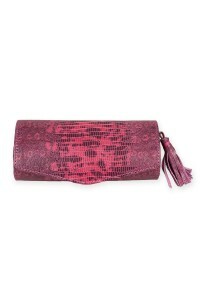 We also have two bags in a fabulous fuschia lizard print leather – either our signature Toggle Bag (was £295, now £245) or a delightful little clutch that comes with a few tricks up its sleeve. It comes with a three detachable accessories – a leather tassle, a leather wrist loop and a gold shoulder chain. These let you wear the bag in a number of different ways and it’s why we call it our convertible clutch (was £145, now £125). 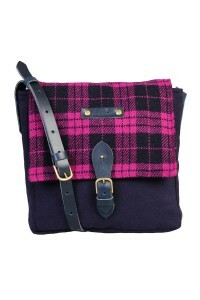 Moving on from leather, we also have a number of pink themed pieces in our Heritage Collection. Each of these pieces use genuine Harris Tweed which we source directly from the weavers in the Outer Hebrides of Scotland and, like all Dunmore Scotland handbags, they are made right here in Scotland. 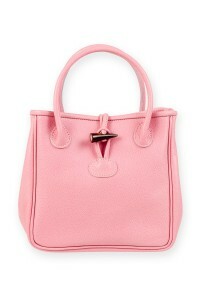 Last up on the pink bag list is the Ailsa tote. We have three subtly different pink versions of this classic bucket tote – hot pink raspberry, a deeper wine or a bright orange/hot pink mix. Each Ailsa tote has leather handles and trim and is a stunning tote for everyday use. (£95 each). 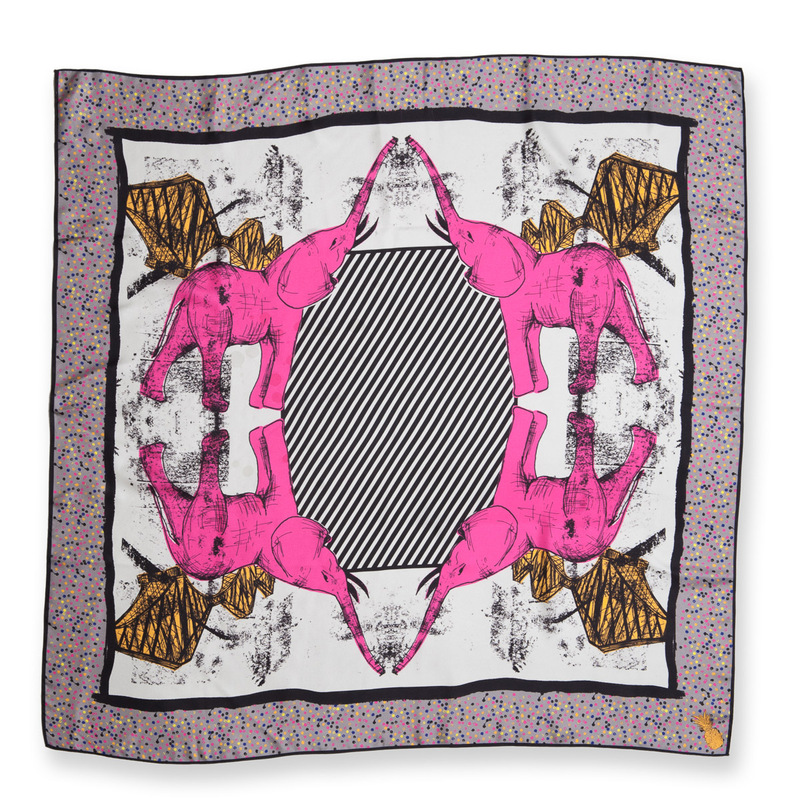 Finally, we have a small number of pink designs in our silk scarf collection, priced at £69 each (was £110). 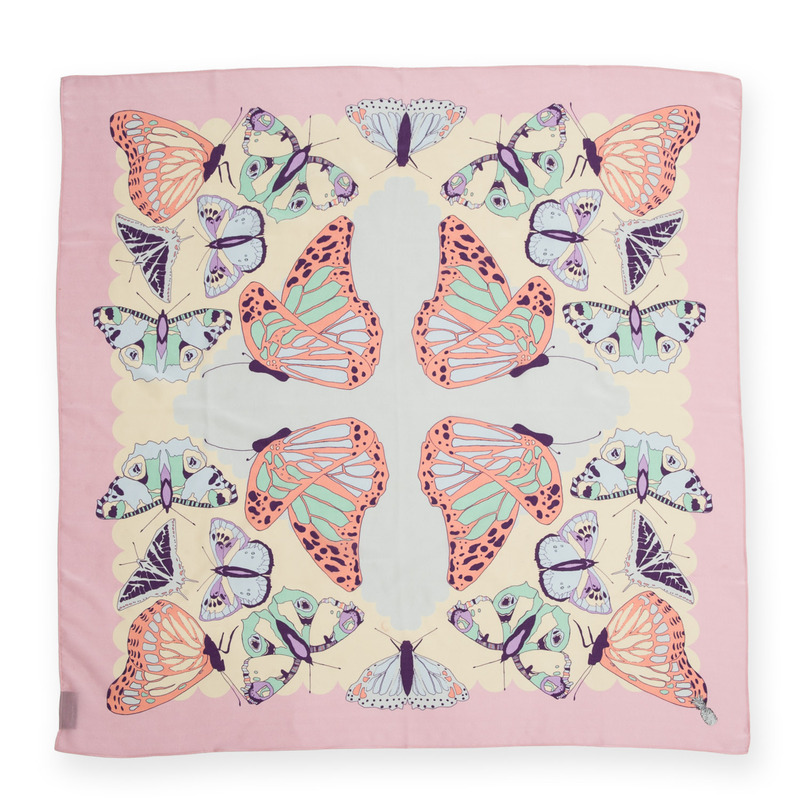 Pink butterflies cover our long rectangular silk scarf, which is predominantly pastel pink. 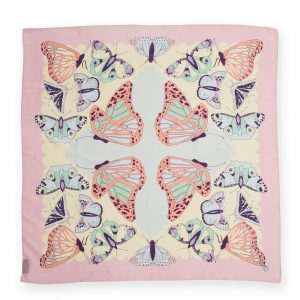 If you like butterflies but prefer a silk square, then this pink square is perfect for you. 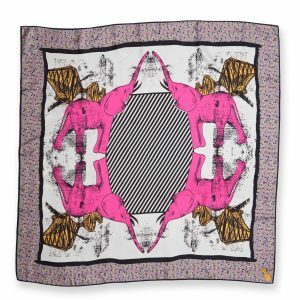 But we’ve saved the best for last – we’re not supposed to have favourites but who can resist a silk square that includes fuschia pink elephants and – in a nod to our Scottish location – the iconic Forth Rail Bridge. Not us!